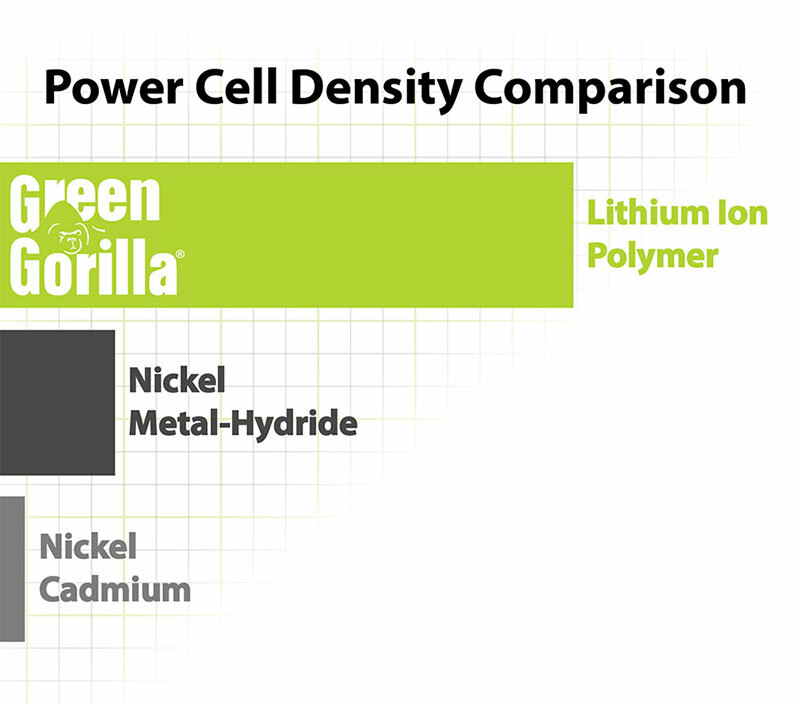 Smart Pressure Technology is unique to the Green Gorilla Systems. It utilizes state-of-the-art technology to precisely match the fluid pressure to the requirements of the wand tip. This technology allows you the peace of mind to focus on delivery for a more precise application of your product. SPT™ incorporates sophisticated microprocessor control of a compact high-volume compressor combined with an advanced long-life MEMS piezoresistive pressure sensor to consistently maintain the same tank pressure all the time, every time. Every unit is fully tested and precisely tuned to control tank pressure within 2 psi of the optimum pressure for efficient and consistent application of material. Not worrying about stopping to pump means you can concentrate on delivery, saving you time and money, while providing your clients a higher quality of service. 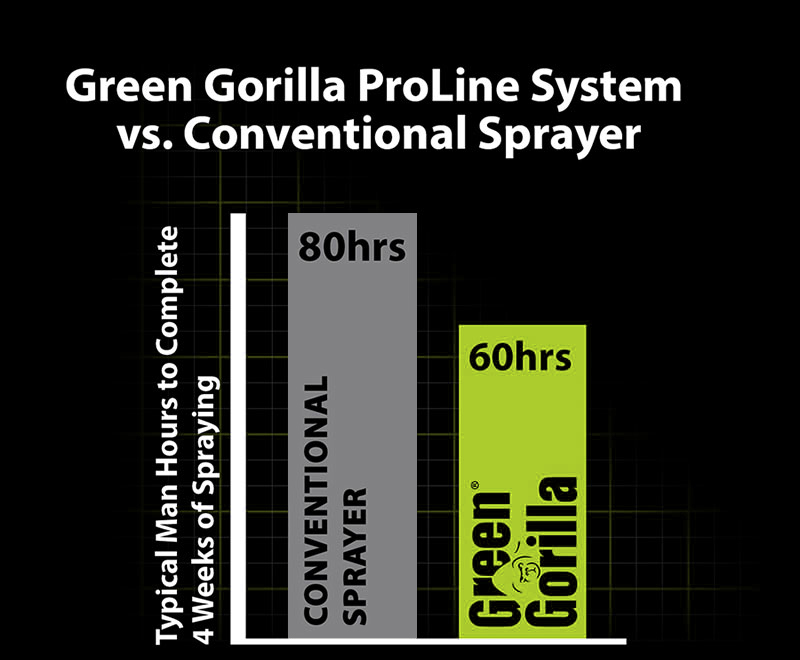 The Green Gorilla ProLine spray systems makes the latest technology simple. The patented PowerPack easily attaches to the tank with a simple push and click, turn the PowerPack on and let the automation work for you. Rotate the knob to remove the PowerPack while the tank is still under pressure. Swap it to another tank allowing for increased productivity or attach a freshly charged unit. 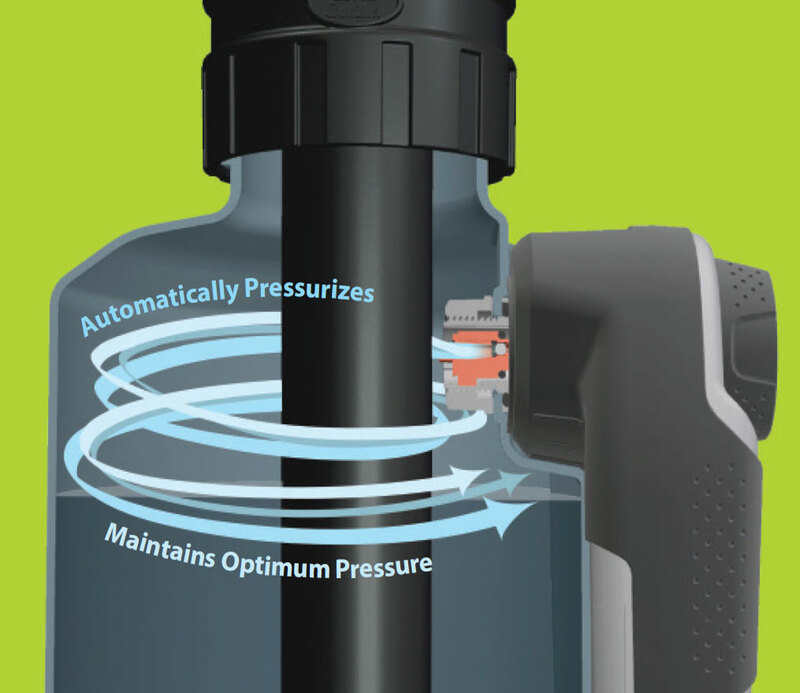 The Green Gorilla ProLine uses Smart Pressure Technology (SPT) to precisely control pressure automatically, eliminating manual pumping. This means that your Green Gorilla professional spray system offers you a significant return on your investment by reducing spray time as much as 25%, as well as, efficiently using your chemicals each and every time you spray. For our PMP users, a 25% savings in time results in a 20 hour savings over a 4 week period, which adds directly to your bottom line. Our ProLine system is uniquely different from other "powered" delivery systems. The Green Gorilla ProLine pressurizes the air in the tank for efficient and consistent application of material vs. pumping the tank contents directly. 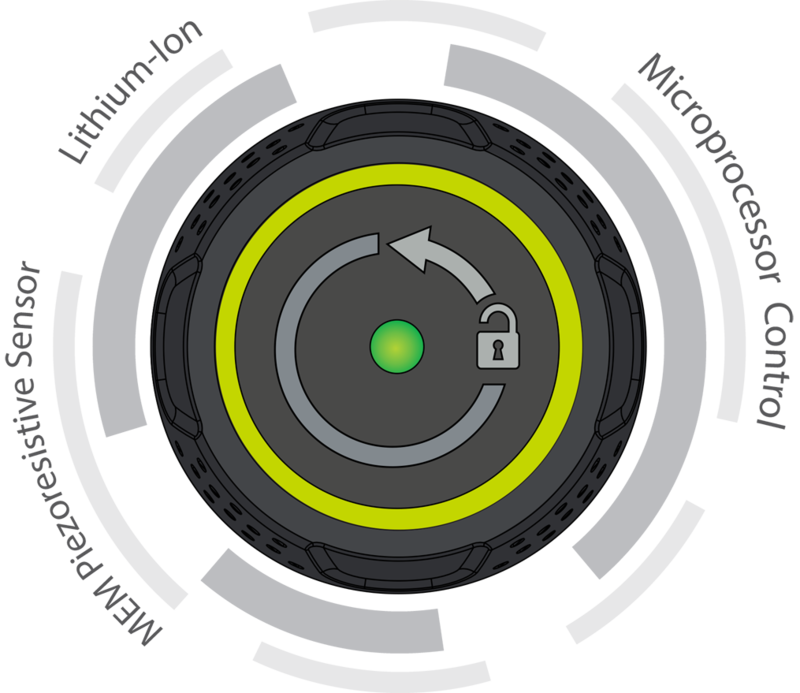 By pressurizing the air in the tank, the life of the rechargeable lithium ion power cells are maximized due to the latest power density technology. This results in a full day of spraying on a single charge.